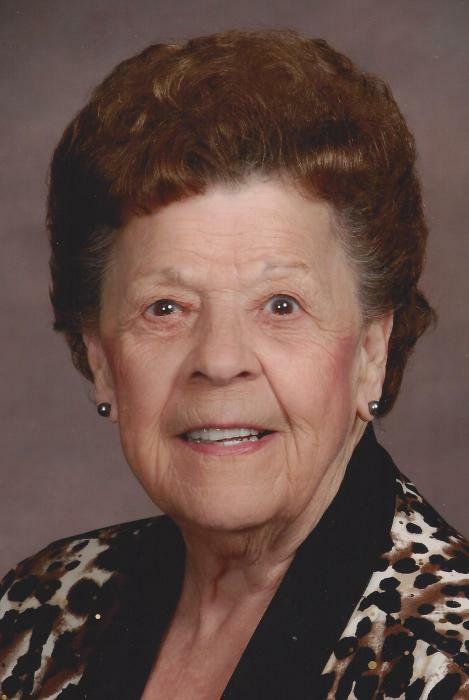 Obituary for Beverly Swanson | Esterdahl Mortuary and Crematory, Ltd.
Beverly M. Swanson, 85, of Moline, formerly of Orion, passed away Tuesday, August 28, 2018, at her home. Graveside services will be held at 10 a.m., Saturday, September 1, 2018, at Western Township Cemetery, Orion. A Celebration of her life directed by the family will follow on Saturday from noon until 2 p.m., at the American Legion, 515 W. 1st Avenue, Milan. Memorials may be made to the family for a fund to be established. Kirk, Huggins & Esterdahl Funeral Home, Ltd., Orion, is assisting the family. Beverly was born on June 3, 1933, in Kewanee, the daughter of Thomas and Genevieve (Swan) Cone. She married Ivan “Swede” E. Swanson, Jr., on June 17, 1950, in Orion. He preceded her in death on June 15, 1997. Beverly was a member of Trinity Lutheran Church, Moline and a former member of St. Paul Lutheran Church in Orion. She was an avid Bingo player and a lifelong Cubs fan. Survivors include her twin daughters, Diane (Dave) Luckey, Moline, and Donna (Brian) Ponce, Coal Valley; grandchildren, Kaylie (Evan) Brown, Moline, Whitney (Brad) Sherry, Peru, NY, John Godwin, Jr. and Jasmine, Bourbonnais, IL, Nathan (Adelle) Ponce, LeClaire, Nicholas (Kilie) Ponce, Moline; step grandchildren, Tiffany (Mike) Kilheeney, East Moline, Matt (Emiley) Luckey, Moline; great grandchildren, Hali, Siena, and Harper Ponce, LeClaire, Macie and Madison Brown, Moline, and Liv Sherry, Peru, NY; one great grandson due to arrive in October, Hudsyn Ponce. She was preceded in death by her husband, parents, great granddaughter, Hayden Ponce; sister, Deloris Osborn; brothers, Dean, Wayne, Donald, Robert, and Ralph Cone.